The O+ Festival is teaming up with Keegan Ales for a collaboration of art, health, and hops. 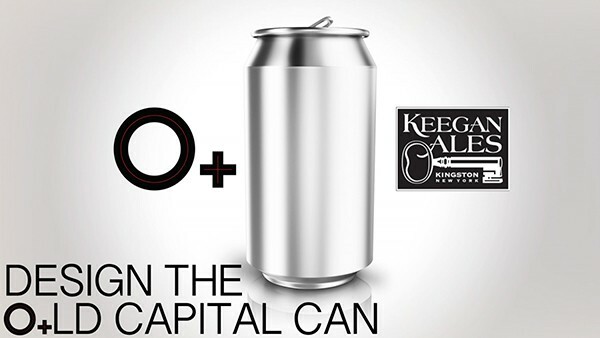 Artists and graphic designers interested in gaining access to a wider range of health and wellness care are encouraged to submit beer can designs for O+LD Capital—a special O+ Festival edition of the brewery’s Old Capital beer, an American Blonde Ale. The O+ Festival aims to connect artists, designers, and musicians with health care. A panel of judges will choose three finalists. The artists’ work will be on display at Keegan Ales and online via Facebook and Instagram. Each finalist will receive two wellness visits at an O+ Festival clinic at the location closest to them—either in Chicago; Kingston; or Petaluma, California. The public will vote for a winner of these three artists. The winner’s name, website, and social media names will be featured on the design. The winner will be also featured in an exhibition at Keegan Ales in October. The call for artists ends on March 31. The winning design will be revealed at an O+ fundraising party hosted by Keegan Ales on April 17. Email Micah Blumenthal at micah@opositivefestival.org with questions about the submission process.